High reflectivity mirrors, with reflectivity ranging from 99.8% up to 99.999%, are essential components in most laser systems for beam steering while maximizing throughput. It is common industry practice to determine mirror reflectivity by measuring transmission using spectrophotometry and assuming that the rest of the light was reflected. However, this false assumption does not consider scatter or absorption, leading to overly optimistic reflectivity values. For mirrors with reflectivities above 99.5%, a more accurate way to determine reflectivity is to measure total loss through cavity ring down spectroscopy (CRDS). Understanding your supplier’s metrology is critical for predicting real world performance. It is standard industry practice for optical component suppliers to verify the reflectivity of mirrors by using a spectrophotometer to directly measure transmission. This assumes that scatter and absorption are insignificant but these smaller effects have a significant impact when very high reflectivity is required. Spectrophotometers can directly measure reflectivities below 99.5% but values higher than that reach the signal-to-noise ratio (SNR) limit of the spectrophotometer. The most accurate metrology option for high reflectivity mirrors is cavity ring down spectroscopy (CRDS) which measures the total loss of the mirror, including transmission, absorption, and scatter. A laser pulse is introduced to a resonant cavity bounded by two highly reflective mirrors (Figure 1). The reflected laser light oscillates in the resonant cavity and a small amount of light is lost with each reflection. A detector placed after the second mirror measures the decreasing intensity of the reflected light. The total loss of the mirrors is determined by the decay time, or “ring down”, of the reflected light. The transmission of two high reflectivity mirrors was measured using transmission spectrophotometry (Figure 2). Mirror 2 had significantly lower measured transmission than Mirror 1, so it appears that Mirror 2 has a higher reflectivity. If no other metrology was done, it would be assumed that Mirror 1 has a nominal reflectivity of 99.9% and Mirror 2 has a nominal reflectivity of 99.99%. However, measuring both mirrors through CRDS reveals that this is not the case. The loss value of Mirror 1 was consistent with the nominal reflectivity determined using spectrophotometry, but the reflectance of Mirror 2 was so low that it could not even create resonance in the CRDS system. Measuring its reflectance directly by using reflectance spectrophotometry showed that Mirror 2 has much worse performance and a trailing reflectance that drops to 0.5% less than that of Mirror 1 due to absorption and scattering (Figure 3). The extra low reflectance at lower wavelengths is characteristic of absorption and scatter. This example shows how critical it is to use the proper metrology technique for high reflectivity laser mirrors. Mirror 2 could lead to system failure if it was believed to have a reflectivity of 99.99%. In reality, it had a reflectance of 99.5%. This discrepancy between the test value and the true value can lead to performance degradation, safety issues, and even catastrophic system damage. 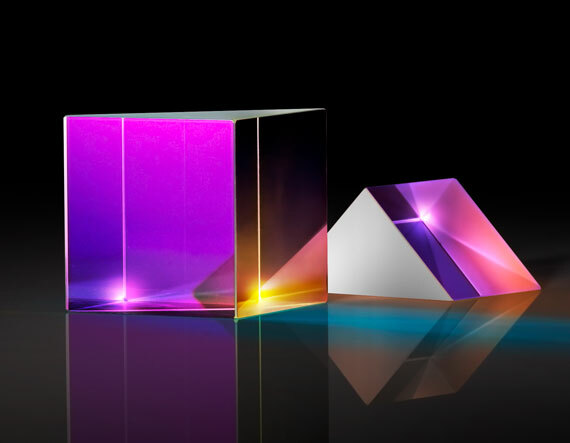 You can learn more about CRDS and high reflectivity mirrors for laser applications in this recorded webinar presented by Chris Cook, Tony Karam, Ian Stevenson, and Stefaan Vandendriessche. 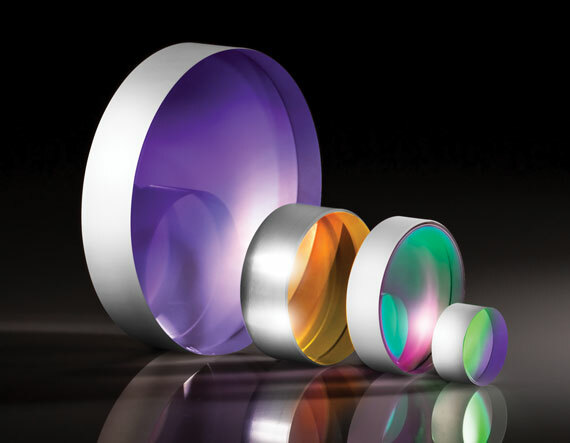 Edmund Optics® (EO) utilizes CRDS to make highly sensitive loss measurements of both high reflectivity and high transmission optics. 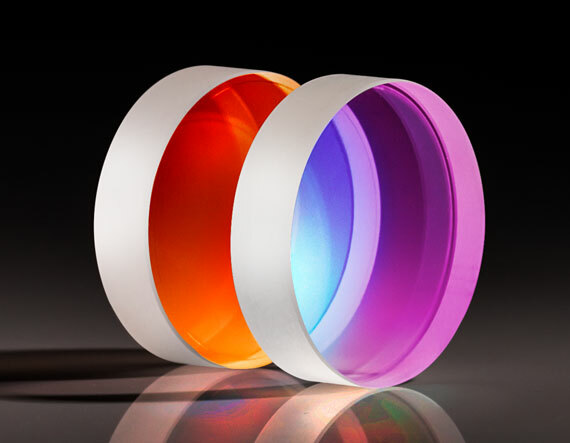 EO’s CRDS system is tuned for common Nd:YAG wavelengths and harmonics including 1064nm, 532nm, 355nm, and 266nm. The system can be tuned to other wavelengths upon request. TECHSPEC® Laser Line Mirrors offer >99.98% reflectivity at 1064nm and high damage thresholds of up to 6 J/cm2 @ 355nm. They are designed for demanding Nd:YAG, Nd:YLF, and Yb:YAG laser applications and are available in various harmonic designs and 0° and 45° AOI options. 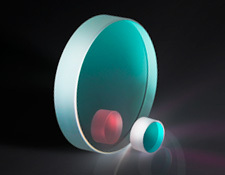 TECHSPEC® 2µm Laser Mirrors feature >99.6% reflectivity and guaranteed laser damage thresholds of >10 J/cm2 at their design wavelengths for use with Holmium (2100nm) and Thulium (1940nm) doped laser systems. Their high laser damage threshold makes them ideal for use in medical, industrial, and metrology application spaces. The 2µm wavelength regime is useful for surgical procedures as it can target discrete depth levels of tissue beneath the skin’s surface. TECHSPEC® Laser Line λ/20 High Tolerance Right Angle Mirrors feature >99.5% reflectivity at Nd:YAG wavelengths. A ±15 arcsecond angular tolerance, ±1 arcminute pyramid tolerance, and convenient right angle geometry make the mirrors easily mountable in order to integrate into systems that redirect light by 90°. The mirrors also feature highly thermally stable UV fused silica substrates and high laser induced damage threshold specifications. 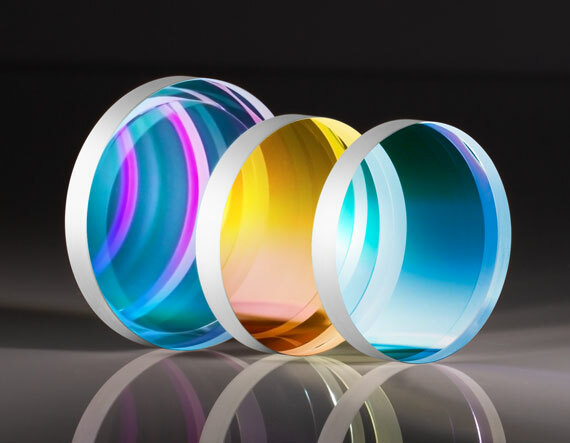 Ultrafast Laser Line Mirrors feature >99% reflectivity and low group delay dispersion (GDD), resulting in optimal performance for applications utilizing Er:Glass, Ti:Sapphire, or Ytterbium-doped femtosecond lasers. The mirrors balance the group velocity dispersion of the coating materials to yield a minimal GDD and provide maximum reflection over broad wavelength ranges. Ultrafast Laser Line Mirrors are available in both 0° and 45° angle of incidence versions. 2μm Highly-Dispersive Broadband Ultrafast Mirrors offer reflectivity >99% between 2000-2200nm and a high negative group delay dispersion (GDD) of -1000fs2 at a 5° angle of incidence (AOI). Their low loss, excellent spectral performance, and proven GDD make them ideal for use inside 2μm thin-disk laser oscillators. These broadband ultrafast chirped mirrors are available in 12.7mm and 25.4mm diameters. TECHSPEC® Broadband Dielectric λ/10 Mirrors exhibit >99% reflectivity over broad wavelength ranges from the UV to NIR spectra, significantly better than that of metal coated mirrors, and are designed for all polarization states at angles of incidence from 0-45°. 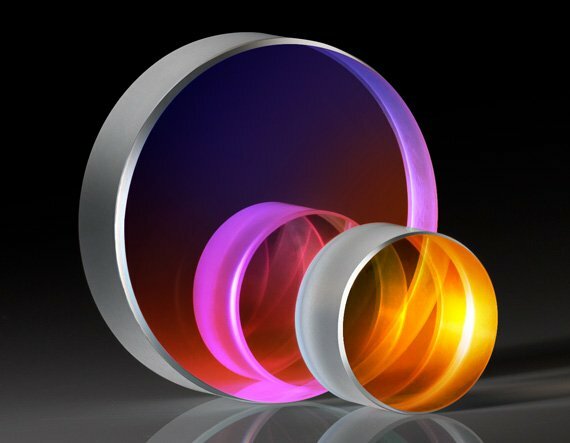 This, along with their highly thermally stable fused silica substrates, makes them ideal for beam steering or reflection applications utilizing multiple laser sources. If CRDS is more accurate, why isn’t CRDS always used to measure the reflectivity of mirrors? CRDS can only be used to measure mirrors with a reflectivity above 99.5% because lower reflectivities result in ring down times that are too fast for the system to detect. The best technique to determine reflectivity depends on the reflectivity level and application requirements. How do you measure the reflectivity of mirrors with a reflectivity less than 99.5%? Mirrors with reflectivities below 99.5% can be directly measured using reflection spectrophotometry. However, this technique will not work for mirrors with higher reflectivities because these systems reach the signal-to-noise ratio (SNR) limit. Is it possible to directly measure absorption or scatter? Yes, absorption can be directly measured using photothermal deflection spectroscopy, in which measured changes in refractive index determine the amount of light absorption. scatter can be measured directly using a scatterometer or atomic force microscope (AFM). An AFM creates a highly accurate topological map of the sample and measures its roughness, which can then be used to calculate scatter. How can CRDS be used to determine the reflectivity of an unknown test mirror when the total loss measured includes losses from both the unknown mirror and the other mirror making up the resonant cavity? Multiple tests must be completed with both the unknown test mirror and the reference mirrors in order to determine the loss of the test mirror.